On the night of March 20, at the end of a race that had cost candidates a combined $5 million, Joseph Berrios called Fritz Kaegi to congratulate him on his victory. Barring the unlikely introduction and even less likely victory of a Republican candidate in the fall, Kaegi will assume the office of Cook County Assessor in December and attempt to deliver on his reformist platform. 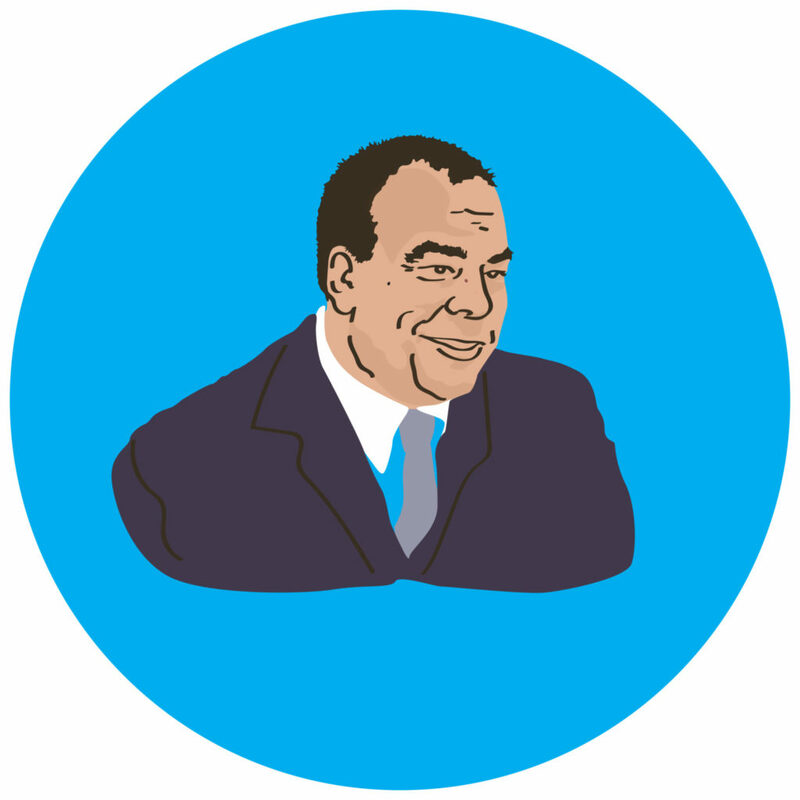 What voters may not realize—and what Kaegi will have to contend with—is that the anticipated reforms are years away. Starting last June, the Tribune, later joined by ProPublica Illinois, began publishing an investigative series on Cook County’s assessment system, finding it to be fundamentally flawed and shrouded in secrecy. Initial assessments of properties deviated from actual values by between sixteen and thirty-one percent—outside the allowable margin of error of fifteen percent, according to international assessment standards. Reporters found that the system is highly regressive: lower-priced properties are over-assessed, while higher-priced properties are under-assessed—meaning the city’s wealthy property owners are paying a lower effective property tax rate than the poor. Berrios’s office doesn’t review its own work for accuracy and refused to make public how it arrived at valuations, including hand checks, where the assessor’s office changes values from assessment models by hand. The office denied a Tribune open records request for the valuation method, preferring to take the case to court. The investigation uncovered a pay-to-play “ecosystem” of lawyers, wealthy property owners, and the assessor’s office that benefited from the unfair system and ensured its propagation. Berrios’s office encouraged property owners to appeal their assessments if they believed they were unfair. But the appeals process only reinforces the system’s unfairness. Property owners from poorer neighborhoods either generally don’t know about the process, can’t afford an attorney, or don’t have the time to appeal their properties on their own. The process is dominated by wealthy business property owners who hire property tax lawyers to file appeals on their already under-assessed properties. Between 2011 and 2016, the top five tax appeals firms were responsible for over $6 billion in reductions. Many of those firms contributed heavily to Berrios’s campaign coffers, ensuring the cycle went on. As Kaegi gears up to tackle the technical problems of assessing the 1.8 million parcels of property in Cook County, he will face various practical challenges that may bog down his reform platform. But if the promised changes take too long to materialize, or don’t meet voters’ expectations, Kaegi’s run and reforms may be short-lived. The first and largest challenge is how quickly Kaegi will be able to begin to assess properties accurately. Creating a new model to assess the 1.8 million parcels of land in Cook County is a tall order under any circumstances, but Kaegi will have to do it on the fly. In an email, Kaegi acknowledged that not only is very little known about the current model, but that “the data used by the office is largely outdated.” There is no telling how long “improving the office’s data and data management” will take or how it will affect the accuracy and timeliness of assessments. Sending out property tax bills on time—apparently at the expense of accuracy—was a major point of pride for Berrios, who said he was the first assessor to send them out on time in thirty-four years. When bills are late, so are payments. Before Berrios took office, taxing bodies, in order to keep schools and other government functions running, took out loans that ended up costing $5 to $6 million a month in interest. Another problem facing Kaegi is unfortunate timing. According to state law, every property in Cook County must be reassessed every three years. The county is divided into three areas—Chicago, the north suburbs, and the south suburbs—which are reassessed a year at a time. Unfortunately for Kaegi, Chicago, which is the most populous of the three areas and contains more than half of his voters, is being assessed by Berrios this year. Kaegi’s office won’t get a chance to reassess Chicago until 2021, and the reworked property tax bills won’t come in until 2022, a full four years after the March election. Berry was more skeptical that such a task would be possible. “If they were going to assess Chicago again a second time, that’s at the same time they’re supposed to be assessing another part of the county…that’s a big order to essentially double the work,” he said. Kaegi wrote he is working on assembling a transition team this summer, adding that he plans on “implementing an HR plan that puts an emphasis on training, education, and culture, as well as diversity and inclusion.” But he declined to specifically state if there would be a limit to the number of people he would let go, or whether he would provide training programs for any employees found lacking in technical qualifications. Additionally, the budget to the assessor’s office has seen significant cuts in recent years, adding yet another layer of difficulty to the task at hand for Kaegi. Between mid-2016 and the end of the first quarter of 2018, the Assessor’s office saw twenty-four resignations, two terminations, five layoffs—with just four new hires. Even if Kaegi’s team is successful in reassessing the county accurately and uniformly in the next few years, it may take more than that to change the culture of appeals that thrived under Berrios. Currently, everybody is encouraged to appeal, and for good reason: in 2015, eighty percent of residential appeals won reductions. Kaegi believes that if his office assesses properties in an accurate, consistent, and uniform manner across the county, it will decrease the number of appeals to the assessor’s office over time because fewer will end in a reduction. Initial accuracy in assessments will discourage some appeals at first while uniformity in assessments—meaning the methodology for valuing properties is transparent and applied equally everywhere—will take away the outliers that form the basis of many appeals arguments. Kaegi is firm on his plan to combat the pay-to-play environment that existed under Berrios—even the perception of its existence. His office will publish its visitor log, implement rules on gifts and entertainment, and make campaign contribution information inaccessible to assessor’s office analysts, preventing them from seeing who has donated money to him. And even as he’s committed to never accepting donations from property tax lawyers, Kaegi added that he will be “exceedingly careful in vetting large donors,” especially big property owners. He didn’t say how the vetting would work exactly but confirmed that such rules would be made public. Kaegi’s commitment to transparency is in direct opposition to Berrios’s legacy, who was criticized for being opaque and unwilling to divulge how his office reached assessments. Kaegi has promised to respond to the Tribune records request as soon as possible, which Berrios’s office has dragged out in a taxpayer-funded lawsuit. Aside from practical and legal obstacles, Kaegi may run into political challenges that could hamper his ability to bring reform—or undo it entirely. As Kaegi begins to assess high-priced properties at their proper levels, he may face legal challenges from wealthy owners who don’t want to pay more in taxes. There is already some precedent set by the Trump Organization, which has been suing local governments across the country to lower the assessments on Trump’s properties. Kaegi went up against powerful political interests and won, despite not taking donations from property tax lawyers. Berrios was also the chairman of the Cook County Democratic Party, while some of the biggest property tax law firms that gained from the pay-to-play system have Speaker of the Illinois House of Representatives Mike Madigan and 14th Ward Alderman Edward Burke as partners. Part of Kaegi’s success, then, must be attributed to him self-funding over seventy-five percent of his campaign, to the tune of almost $2 million. If Kaegi loses popular support and goes up against candidates supported by the likes of Madigan and Burke, a largely self-funded campaign style may not be sustainable or successful in the long-term. And if Kaegi is ousted in four years by the Democratic machine, it may spell the end of true reform of the assessment system. But he was also quick to bring the conversation back to the present. “That’s putting the cart before the horse. Right now, we’re totally focused on bringing change over the next four years,” he wrote. Much in Cook County will depend on that change. Update 5/16: This story was updated to clarify that the assessor’s office had refused to share with the Tribune their valuation method, not assessment model, and to clarify facts about the appeals process and the assessor’s office’s reasons for not using the new model. Adam Przybyl is the Weekly’s deputy editor. His last contributions to the Weekly were a review of High-Risers: Cabrini-Green and the Fate of American Public Housing and an interview with its author Ben Austen in February. The real problem that he will face, however, is that if the number of appeals is reduced, more homeowners will pay higher property taxes. Reform is all well and good but if voters see there taxes go up (and they will), then Kaegi will face a backlash. I thought this often during the campaign as people talked about Berrios. In the end, Berrios was doing what the people wanted. They just don’t know it yet. Another big thing is Kaegi has said he will assess business property, especially big downtown office buildings, based on their sale prices (or sale prices of comparable buildings). The assessor’s office has always valued such properties primarily on their income, as do most counties and states. Sale prices are speculative – NOT based on current income/value but rather on speculation/investment plans and expected higher future income calculated with a discounted cash flow analysis by the prospective buyer. So, sale prices are usually 20%-35% higher than actual current [income-based] value. Kaegi’s plan will dramatically increase taxes on business property…which will then pass those increases on to tenants…who will desert these buildings in droves. Really, does anyone actually expect Chicago to remain competitive if business rents increase 20-35%? Business property already pays taxes on a two-and-a-half-times larger portion of it’s market value than do homeowners. That is designed to put a bigger burden on the business tax base, which is good. But to now increase that already-bigger burden will be the huge brick that breaks the camel’s back. Kaegi’s bad idea, originally advocated by Chris Kennedy, the Tribune, Propublica and Crain’s Chicago Business, will be a disaster for the county, which is already losing businesses. 1) Most of the major commercial buildings in the loop are assessed well under 65–80% of their last sale price—take Willis Tower, whose assessed value is about a third of face value. 2) It’s easier to systemically understate net income than gross receipts (i.e., sale price). Anyone who has filed tax returns for a business knows this. If that seems too steep, a fixed fraction of sale price (e.g., 0.7x) would be fine—you could even index it to the year-over-year strength of the local economy. Using sale price as a benchmark tends to advantage commercial enterprises less. And residential properties don’t get to plead low income against their assessments. 3) A 20-35% increase in commercial assessment values would translate into a 20-35% increase in business rents? Find me a major Loop renter whose operating expenses are 100% property tax—or even 10% property tax—and we’ll talk. You said it yourself: current assessed values are based on income estimates. That means a commercial property’s tax bill is, by definition, a fraction of the building’s income. The assessed values obviously outstrip the property tax bill. Using your figures for the sake of argument, reassessment against sale price would mean a 20-35% increase, notionally, in the owners’ tax bill, not in overall operating expenses. This is a difference of at least an order of magnitude.